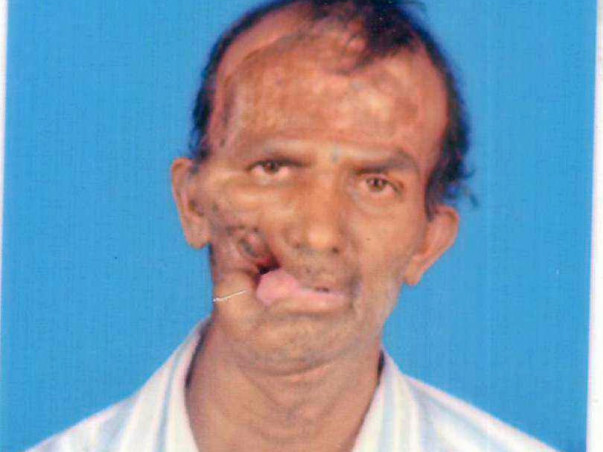 Manjunath, a 48-year-old who developed a cancer in the mouth two years back. His cheeks swelled up so much, he couldn't open his mouth. A surgery removed the tumour but he now has an open hole where his cheek used to be. This has affected his basic functions like eating and speaking. He needs a surgery that will restore normalcy to his life. Manjunath is from a small village near Mangalore. Before cancer, he worked on a fishing boat. Not only was the work hard, he was away from home for 10 days once the boat left to fish in the ocean. The pay was entirely dependent on the catch. The money would be good, if the catch was plenty. Otherwise, his family would have nothing. Manjunath made Rs 4,000-8,000 per month. With this amount, they had to pay rent, send the children to school and take care of the their daily needs. When the swelling in his mouth was diagnosed as cancer, the family's fortune changed drastically. It fell to his wife, Mahadevi to look after the children while he was gone. Even though she was deaf and never went to school herself, she made sure her children Manoj and Bharti finished their schooling. She does some saree decoration work in the village that helps the family get by. Manjunath's illness meant an interruption in the children's studies. Manjunath's older son Manoj (aged 18) had to quit college and join the fishing trade to become the breadwinner. As a new hand on the boat, he earns significantly less than what his father made. He is stoic about his choice and knows that it will help his father. “At first, I worked in a canteen. But I was advised to go into fishing because if I work hard, I can make decent money that can get my father the treatment he needs,” he says. The doctors have recommended plastic surgery that will restore the missing skin on his face. 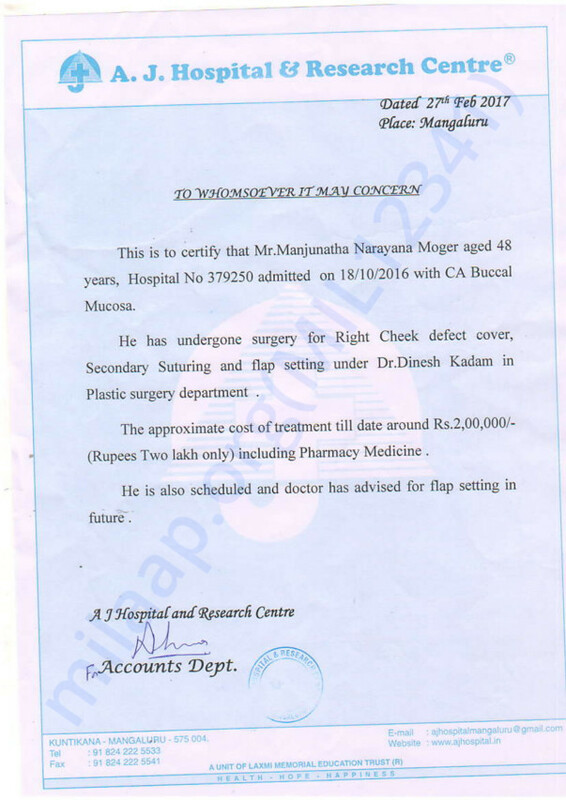 The procedure will cost Rs 2,00,000. 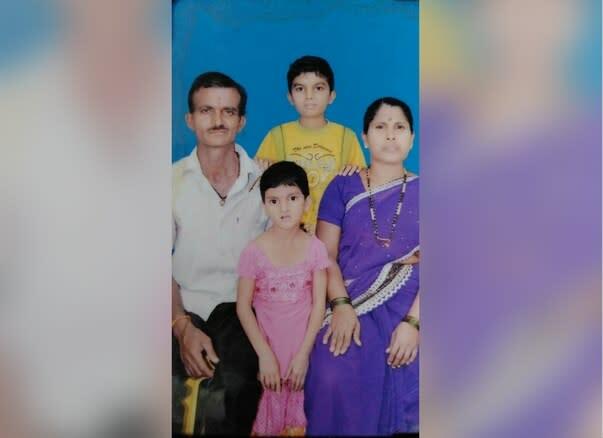 The family spent close to Rs 6 lakhs on Manjunath's treatment and they do not have anything left. Even though his cancer is gone, the family still needs a helping hand recovering from it. Once Manjunath gets better, he can work again and lighten his son's burden. Contribute now and help this family regain a life of dignity.